The event may be delayed, canceled or modified due to Lightning, Tornado Warning, Tornado Watch, Thunderstorm, Heavy Rain, Heavy Snow, Ice or any other extreme weather condition. Light to moderate rain or snow is not considered an Adverse Weather Condition. If the event is canceled we will do our best to notify participants via the race website, email and on the Bodies Race Company – North Dallas Facebook page. Participants will be notified via email where they can pick up their race packets if they have not already done so. As stated in the Registration Policies, we have a strict no refund policy. This includes events canceled for Adverse Weather Conditions as the funds for the event have already been spent in preparation for race day. 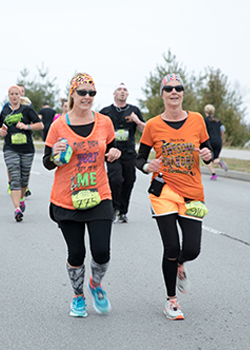 If you are unable to participate in the event, or the event is cancelled, you can still receive your packet, shirt, medal and you simply run the race on your own time on your own course. Read more about our Virtual Race option below. Sign up online for a Virtual Race: If you know when signing up you will not be able to join us simply choose the ‘VIRTUAL RUN’ option. You can choose to pay for shipping at that time or you can decide to pick up your packet at packet pickup. If you cannot pickup your packet you will need to pay shipping. Packets will be mailed out the week after race day. We cannot send them out any sooner because we do not get the merchandise until a few days before the event. 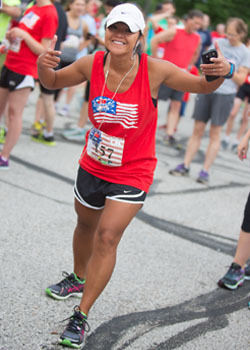 Need to switch to virtual after registering: If you are already registered and you cannot make it race day you can switch to our virtual race option. Simply let our staff know at packet pickup or email us to make arrangements if you cannot attend packet pickup. You must let us know before race day or we cannot guarantee we will still have your event swag. We allow late registrations to pick from extra shirts and donate the remaining swag to our charity partner. If you need your packet shipped you will be charged shipping at that time.